King Street Kings will host its Second Annual team wide Shoot-a-thon on Friday, May 3rd. 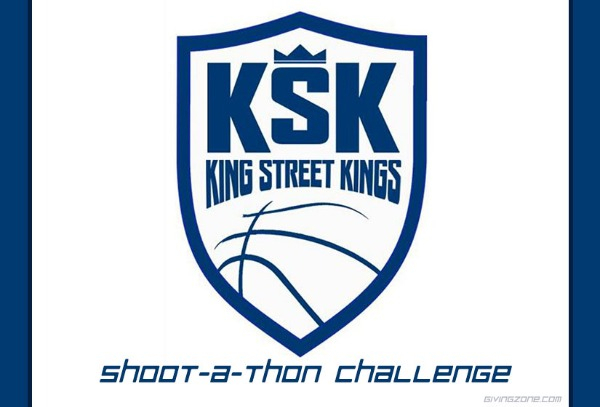 King Street Kings will host its team wide Shoot-a-thon on May 3rd. During the event every athlete will shoot 50 free throws. We are looking for sponsors for each MADE free throw. You can PLEDGE anything from .25 cents to 10 dollars per basket made or make a one-time DONATION. Please help us reach our goal! Good Luck Jackson. Have fun. Good Luck! 80% or better I double my pledge! I expect at least 80 percent from the line. Coach Bennett from UVA will be watching. Get it Jordan!!! I know that you will do well. Break the bank! Good luck Ahmeir, make all of us proud. Shoot for the stars Ahmeir!! Go Meir!!!!!! You can and will do it!